"Be quiet, be quiet!" my mother was saying. "I can't," I replied. "I don't want to die!" This memoir recounts a silver-spoon childhood suddenly shattered by war and incarceration in a Japanese concentration camp. Set in the former Dutch colony of Indonesia during World War Two, it is a story of tragedy and courage, pain and heroism, and experiences that were imprinted on a tender young life in the most adverse of circumstances. 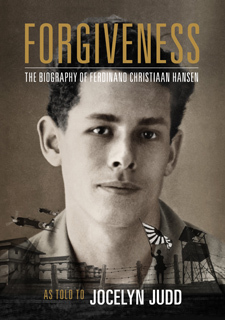 The child, Ferdinand 'Ferry' Hansen, grows up, pursues adventure and tries to make his way in life, but 'only the heart knows its own sorrow'. Haunted by the ghosts of the past, for many years he could not bear to talk about all he had seen, done and experienced. Until finally, he finds peace and redemption in the faith of his father.